Is Facebook really useful for B2B? I was struck by the title of Chris Koch‘s recent piece for Social Media Today, 4 Reasons Why Facebook Stinks for B2B Marketing – it’s an eye-catching headline. This topic is something I’ve thought about a lot recently. In my professional space, much of the marketing is in aid of business-to-business product awareness – or sometimes, business-to-employee, or developer relations – but it is rarely a straightforward, business-to-consumer/man-in-the-street model. I read Chris’ article with interest, as well as another article he’d earlier tweeted about, Facebook Can Work for B2B Marketers, and I was surprised to find that both pieces missed out on what I believe are some very important points. As regular readers will know: I’m not a marketeer, I’m basically a techie who sometimes talks about social stuff. However, since I’m tagged as a “social media guy” within a software development organisation, I’m often asked whether a particular software product or technology should have a Facebook page. What about support information, documentation, introductory videos – surely those kinds of things should be available via Facebook? Isn’t that where all the cool kids are? My answer is usually tentative and skeptical. Don’t get me wrong, I think the idea of brands having some presence on Facebook is fundamentally useful for visibility, and more so if an organisation is prepared to spend some time on engagement (NB ephemeral, instead of ongoing engagement is one of the key holes that B2B campaigns can fall into that Chris Koch picks up on in his piece). I follow Starbucks UK and love getting the occasional freebie from them… and I am a fan of many other brands, too. However, considering a B2B relationship, I personally feel that Facebook is a far less useful social space in which to share information and engage with customers than, say, a network like LinkedIn or a standalone site with API hooks to existing social networks. Facebook is famously a “walled garden”. You put content in, and they keep it there; it’s not indexable or embeddable from the outside. They’ve recently added a tool to export personal profile data, but not product or brand pages, to my knowledge. Facebook has always been about absorbing data, whereas a company like Google has been about indexing it. If you read Jeff Jarvis‘ excellent book What Would Google Do? it quickly becomes clear that Google grew and became successful by building or acquiring tools which made it easy to embed their information and gadgets into your site (whilst of course, recording signals as people visit those sites). That YouTube video you created? Easy to socialise and embed on other websites. Post a Facebook video? it can only be played on Facebook. It’s ok for Business-to-Consumer products, but not so useful for enterprise software and middleware where the relationship is essentially B2B and less visible. What does it mean for me to “like” WebSphere Middleware (or whatever) on Facebook? Why would I want to make that statement in a personal context? Will my friends and family, many of whom I don’t work with, know what these things are when they show up in their social streams? It makes sense for me to be part of a professional network via e.g. Slideshare or LinkedIn, but the value for B2B / middleware / invisible products is a lot less tangible. It’s not necessarily a useful place to post content if your goal is to attract people in “nascent / emerging markets”, either. I spent some time in China last year, and clearly in countries like that, Facebook is officially inaccessible. Consider how to maximise access and “sociability” of content – Facebook is unlikely to be that channel. So, having said all of that, and started out declaring myself “not a marketeer”, I end up sounding suspiciously like one, talking about channels, content and effectiveness! I am a page owner and I’ve played around with the advertising tools, so I do know that Facebook offers some very compelling segmentation, reach and analytics tools – but again, I’d argue that you have to consider whether you’re really providing wide access and ongoing value by centralising information inside their network. What about Google+? 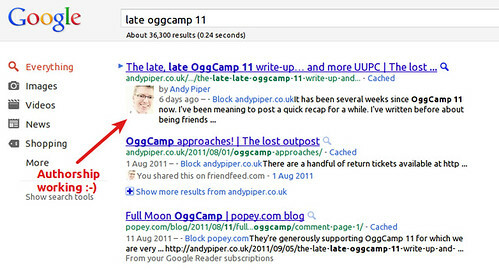 I’ve not written about the social network of the hour here on my blog yet (but if you are on G+ feel free to add me to a circle…) but given Google’s interest in making content indexable and easy to locate, it is likely that when business pages arrive, content over there will be more widely accessible than it is inside Facebook. I’m not saying that “social” in general doesn’t work for B2B communications and marketing… I’m just saying that Facebook, to me, doesn’t make the perfect choice. I’m still not a marketeer, and I don’t think I’d make a very good one – but I try to apply common sense to these spaces. Those are my 4 pennies on this issue… let me know what you think!